I am a British freelance Theatre Director based in Chicago. I trained on the MFA in Theatre Directing at Birkbeck College, University of London from 2004-2006. Since moving to Chicago, I have directed for Sideshow, Strawdog, Trap Door, Stage Left, Redtwist, Theatre 7, Livewire and assisted for the Court Theatre and Chicago Shakespeare Theatre. My first production in the US was The TomKat Project at the Playground Theatre, which then transferred to the NY Fringe in 2013. 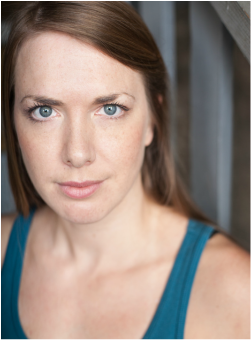 I am an Ensemble member with Sideshow Theatre, Strawdog Theatre and an Associate Artist with Stage Left Theatre. Previously, I worked as a freelance director in the UK for several years in London and in regional theatres, including the Royal National Theatre, Royal Court Theatre, Almeida Theatre and Royal & Derngate, Northampton. As well as directing, I have worked as an assistant-director, script reader and drama teacher. I am a text-based director with an equal passion for classic and contemporary material. I am particularly interested in working with strands during the rehearsal process (world, character, text) - an approach inspired by, amongst others, Mike Alfreds. For several years, in London, I worked as a director and producer for Brother Tongue, a company I co-founded which focused on producing new translations of European work.